What’s the first thing you think of when I say, Excel. Numbers, right–turning data into information. 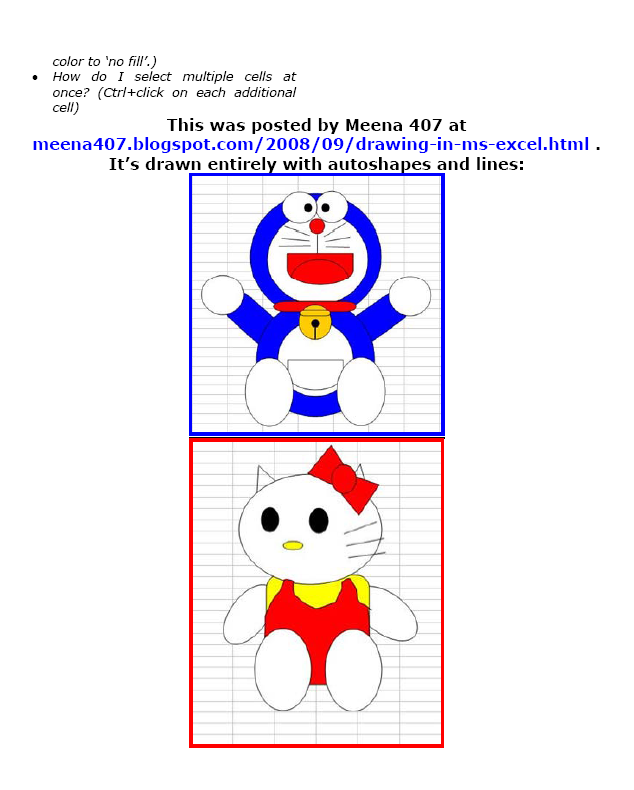 That is Excel’s ‘killer app’, but the ingenious human brain has come up with another striking use for Excel: Drawing. 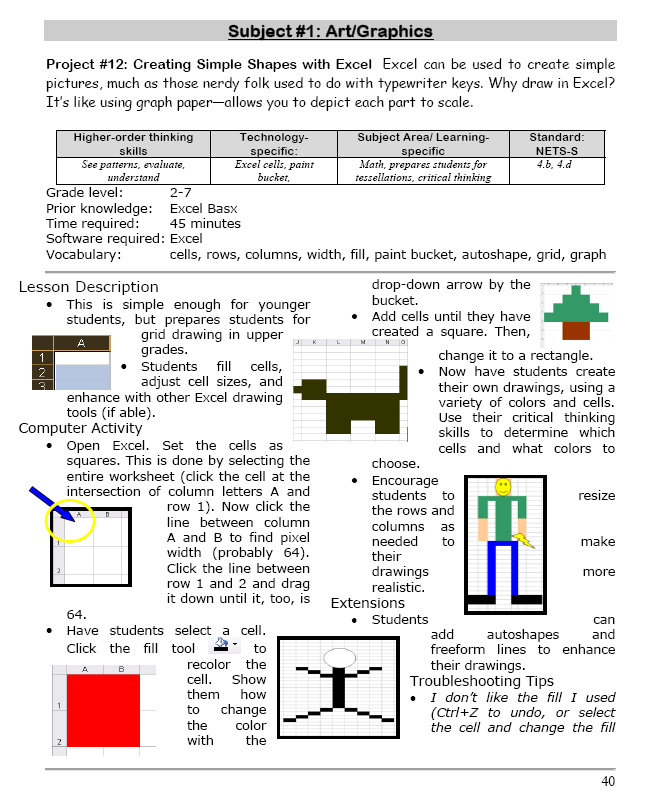 I spent a long time trying to find a lesson that taught drawing in Excel and/or offered example. I finally gave up and created my own. Jacqui Murray is the editor of a technology curriculum for K-fifth grade and author of two technology training books for middle school. She wrote Building a Midshipman, the story of her daughter’s journey from high school to United States Naval Academy midshipman. She is webmaster for five blogs, an Amazon Vine Voice book reviewer, ISTE article reviewer, IMS tech expert, a columnist for Examiner.com, and a weekly contributor to Write Anything and Technology in Education. Currently, she’s working on a techno-thriller that should be ready this summer. Contact Jacqui at her writing office, WordDreams, or her tech lab, Ask a Tech Teacher. Tags: draw in Excel, Excel basics, Excel projects, learn excel. Bookmark the permalink.